Dicky Dodd with his nameplate. National Express West Midlands has furthered its recognition of individuals and organisations in Wolverhampton with the naming of a vehicle in honour of a local radio DJ. Dickie Dodd, who broadcasts on Signal 107, has been a respected radio personality in Wolverhampton and the West Midlands for around 20 years and is well known in the city for his charity fund raising activities and his support for National Express’ local operations. The naming is the latest in a series commenced with the delivery of new Wright bodied Volvo B7RLEs vehicles to Wolverhampton depot late in 2011 following National Express being a signatory to the Quality Contract for the city. The naming ceremony took place in Wolverhampton’s Queens Square where Dickie was joined by the Mayor of Wolverhampton, Councillor Milkinder Jaspal and representatives from the Haven Refuge, Signal 107 Radio and National Express. National Express West Midlands Head of Service Delivery, Tony Dallison, praised Dickie’s role in supporting the business in the community together with his charity work and an anchorman role at the company’s awards evenings. Dicky passed his PCV licence with National Express and maintains his CPC qualification with them, consistently achieving Grade A’s in his assessments. He drives on occasions including the V Festival shuttles, giving the opportunity for ‘spot where Dicky is driving’ today competitions on the radio. With a lifelong interest in buses, Dicky has acquired a 1983 MCW Metrobus which is being restored to its original blue and cream WMPTE livery. 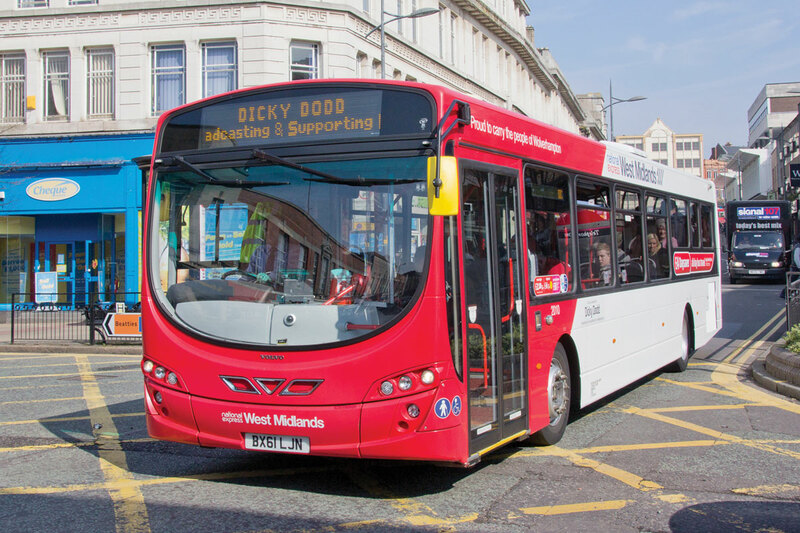 In addition to the recognition programme in Wolverhampton, National Express has naming programmes underway in Birmingham, where the latest Enviro400s carry girls’ names inspired by the grandchildren of employees, and Dundee where the Enviro400 hybrids carry names of local personalities. Following the naming ceremony and with the electronic destination displays reprogrammed with his name, the bus took Dicky with family and guests on a tour of Wolverhampton, delivering live outside broadcasts from important locations in his life.